Our 6-week In Shape program is about breaking bad habits and eliminating certain foods and liquids out of your eating pattern, as well as using exercise to try to burn extra body fat and tone up your body. Many of our participants see real results by the end of the 6 weeks. This is an ‘all or nothing’ plan, and to get the great results you want, you need to stick to it entirely throughout. With our support, you will create self-discipline. The first 2 weeks is tough, but after this you will be able to see how dependant you were/are on certain foods, as well as seeing a change in body fat. As well as being dedicated yourself, the key to the success of the program is the social side of things. You’ll have access to a private Facebook group for sharing ideas and keeping each other motivated, a lot like a weight loss team! 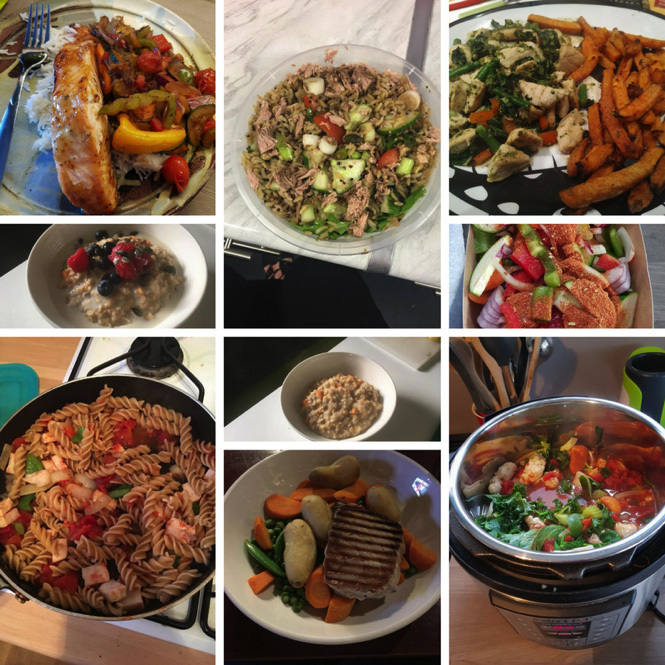 The group has previously been great for celebrating success and for sharing variations on the recipes from the plan that people had found worked well. We can’t begin to explain how proud we are of everybody who has already worked so hard to get what they wanted from the 6 week programme, and we want you to experience it too! To sign up or to get more information, all you need to do is email us or use the form at the bottom of this page to get in touch. Members and non-members are more than welcome! Here’s a few testimonials from the 6 week IN SHAPE FOR SUMMER programme that ran June 2017. 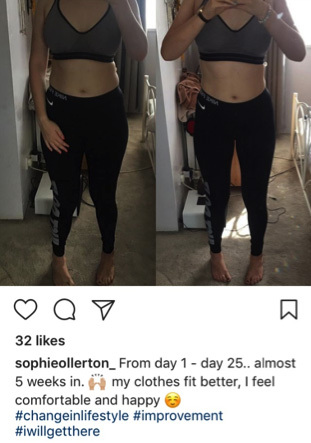 This picture is from Sophie who really smashed the 6 week programme, she went from 73.3kg to 69.2kg, also Sophie’s body fat dropped from 35.6 to an amazing 33.4! Sophie and her mum Alison did this together and stuck together all the way through. Alison also did amazing herself going from 68.6kg to 65.6kg, and dropping her body fat from 30.6 to an incredible 27.8. Alison’s testimonial is below. These two are proof that anybody can do this plan, they both have a hectic work schedule and fit going to the gym and prepping their meals around everything in there day. Finally, here’s one of my favourite recipes from the IN SHAPE programme, it’s so easy to make and it tastes delicious. 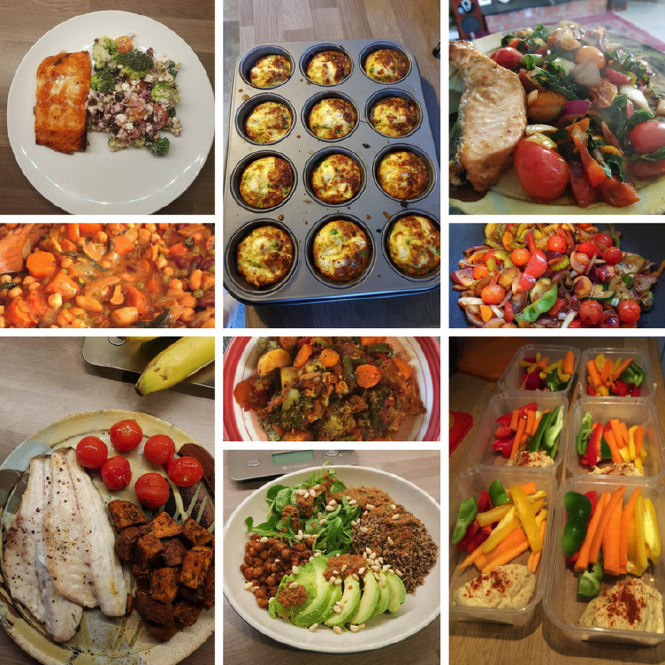 For me the key to staying on track with diet is for it to feel easy and taste amazing! Try this at home with some sweet potato wedges or a cup of cooked rice. Place fish in the centre of a large piece of foil. Place mushrooms, tomatoes and yellow pepper around the fish. Fold up edges of foil and pour the lemon juice over the fish. Fold foil to seal tightly. Bake at 220C for 20‐25 minutes or until fish flakes easily with a fork. Open foil carefully to allow steam to escape. Sprinkle with pepper and serve. 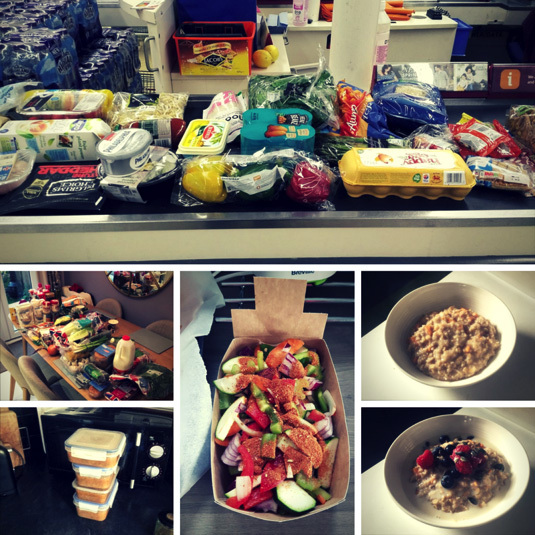 Here’s some of the meals from the first In Shape programme. Get in touch for details of the next program! Non-TT Members -Full 6-week program including 1 class per week, £45. 2 classes per week, £50. Why not pay £65 and get 6 weeks of gym use included in the package!! For any more details or to book onto the 6-week programme, email below!